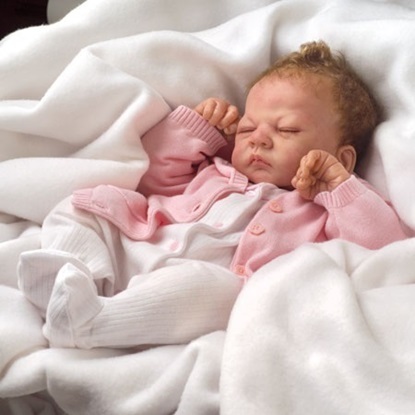 Ashton-Drake Dolls include a collection of realistic, life-like dolls, sometimes referred to as re-borns because of their resemblence to real babies. They are made of a So Truly Real vinyl, also called silicone which feels like baby skin. Their collection of life-like dolls are of collector quality and have provided countless pleasure for over 30 years. 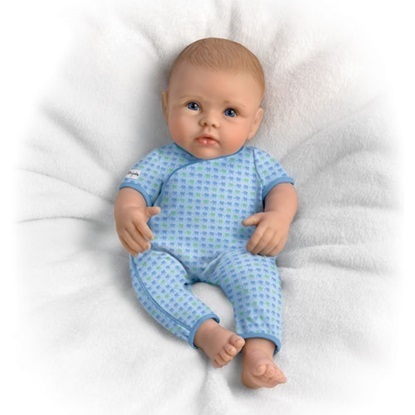 Introducing the most lifelike play doll in the world: the So Truly Mine® Baby Doll by Master Doll Artist Linda Murray. With it's lifelike features and perfect size, this silicone baby is created specifically with the younger doll enthusiasts in mind. 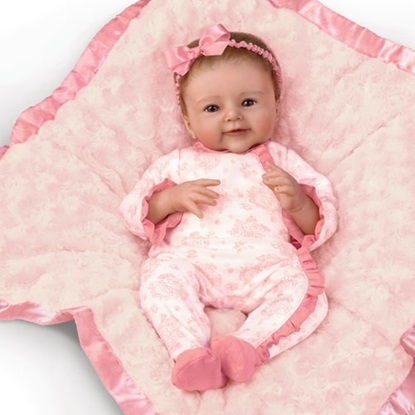 Feel royally blessed with this little princess in your arms when you cuddle with the Pretty as a Princess Baby Doll by Master Doll Artist Linda Murray. Meet "Lyla Grace" the winner of Ashton Drake's 5th annual Baby Photo Contest. At 17 inches long, she is sure to catch your eye and steal your heart! The best things in life are worth waiting for, and this little girl is certainly proof of that! Meet our Little and Lovely Gabrielle Baby Doll by Master Doll Artist Cheryl Hill, a Collector\'s Edition exclusively from The Ashton-Drake Galleries. This African-American lifelike baby doll is beautifully handcrafted of velvety smooth TrueTouch™ silicone for natural movement and flexibility. 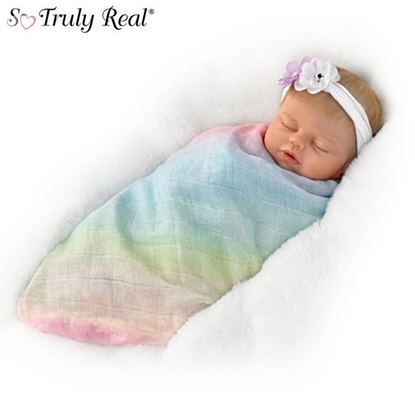 Fall in love with this adorable creation from Master Doll Artist Linda Murray, and a new So Truly Real® touch-activated doll who takes her very first baby steps when you hold her little hands and walk with her! 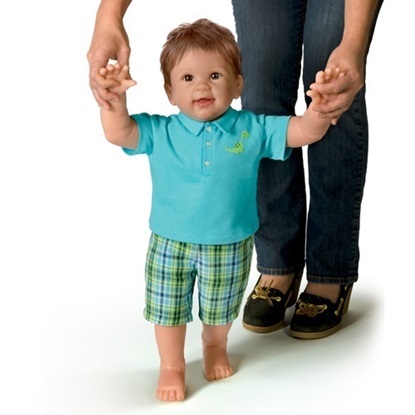 Fall in love with this adorable creation of Master Doll Artist Linda Murray, and a new So Truly Real® touch-activated doll who takes his very first baby steps when you hold his little hands and walk with him! Introducing Serena's Sunday Best, an 18 inch baby doll created by Master Doll Artist Linda Murray. Renowned Master Doll Artist Linda Webb's brilliant sculpt of one of the tiniest miracles ever at just 10 inches long, she fits perfectly in the palm of your hand. Meet Pretty and Petite Presley Baby Doll, created by Master Doll Artist Cheryl Hill, a multiple DOTY™ (Doll of the Year™) Award winner. Actual photos of Presley are also attached. She is handcrafted of soft, supple silicone to look and feel like a real baby, by Master Doll Artist Linda Murray. 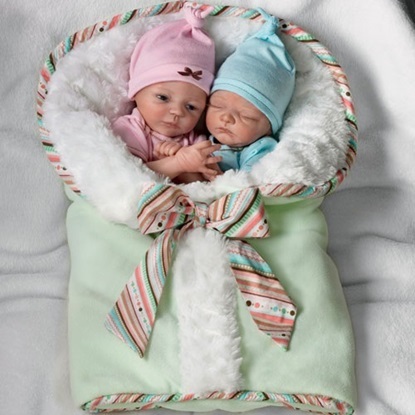 The classic image of a newborn comforted and secured in her swaddle was the inspiration behind doll artist Violet Parker's Swaddled So Sweetly Baby Doll, an exclusive Collector's Edition from The Ashton-Drake Galleries. 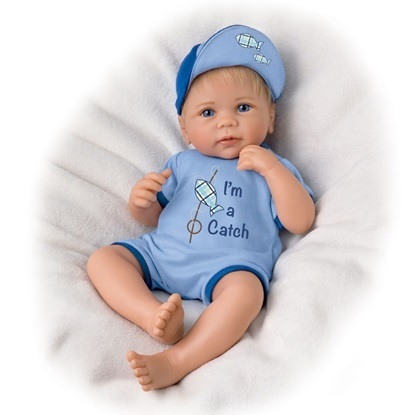 This beautiful 18 inch baby doll is sure to steal your heart and bring you joy. Winner of the "Such A Doll Cutest Baby of the Year " Contest , this 17 inch baby created by artist Ping Lau is sure to win the hearts of all who see her..